LA TRINIDAD, Benguet – A total of 23 grades 4 and 5 pupils of Benguet SPED Center attended a one – day Training on School Disaster Risk Reduction and Management(SDRRM) entitled, “Gabay at Mapa para sa Listong Pamilyang Pilipino” on March 10, 2018 at the ICT room of the school. This was sponsored by the La Trinidad Municipal School Board thru the Municipal Disaster Risk Reduction and Management Council headed by Sir Yoshio Labi together with Sir Stewart Deschamps, the Peace Corps for Disaster Response from Montana, USA. With them, were SDRRM Coordinators: Denia Tarnate, Nardo Aliba, Claren Rose Quilop and School Head, Madam Remedios Lamsis. 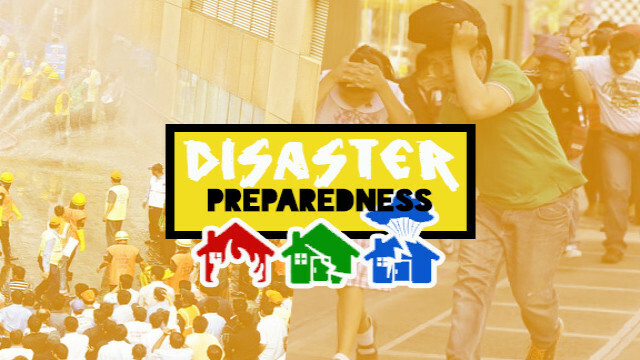 This is a pilot project of the Municipality of La Trinidad aiming to train pupils and teachers on preparedness instructions relative to handling learners with disabilities in times of disaster. Concepts learned were governed by the motto, “Dapat Maagap, Dapat May Alam, and Dapat Handang Handa”. Benguet SPED Center was chosen as the Pilot School for this project since it caters to Learners with Special Educational Needs (LSENs). The pupil–participants will be mobilized next school year in the implementation of disaster management and response to their schoolmates. The activity is in consonance with RA 10121. An act strengthening the Philippine Disaster Risk Reduction and Management System, providing for the National Disaster Risk Reduction and Management framework and institutionalizing the National Disaster Risk Reduction and Management Plan. This mandates the conduct of Community-Based Disaster Risk Reduction and Management activities for preparedness, thereby suggesting a thorough information campaign at the grass roots level. With the three SDRRM Coordinators who served as speakers was Elgin Bulcio, volunteer from the MDRRMC. He discussed common emergencies in school and how to address these. Also present were SFO2 Wilfred Dorencio, SFO2 Connie Pinlasan, and FO2 Daniel Erasmo Jr, from the Bureau of Fire Protection Office who enlightened the participants on the parts and uses of fire extinguisher. A hands-on demonstration on the use of the fire extinguisher involved the excited participants. Prior to this, parent representatives from the different classes were requested to attend the SDRRM Orientation held in school on March 2, 2018 as they are also partners in the implementation of this program.